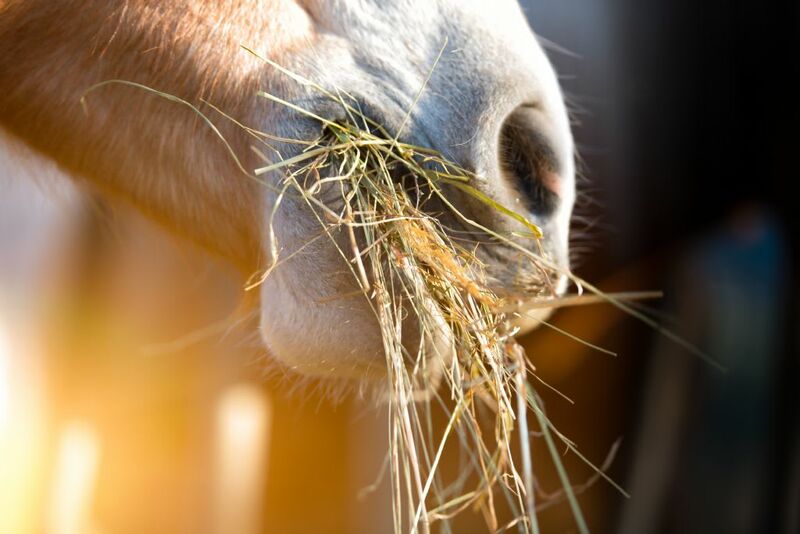 Pica - "My horse is eating dirt"
Bluegrass Horse Feed, Ashley Neely BSc,SQP, highlights the nutritional thinking behind these unusual behaviours and discusses possible management practises available. Unusual eating behaviours such as licking soil, chewing wood or eating faeces are often assumed by owners that their horses are lacking something within their diet. These feeding behaviours are known as forms of Pica, a desire to eat unusual substances. However, horses only show a true appetite for three nutrients; energy, salt and water and often these unusual behaviours can be due to boredom or curiosity. Studies conducted in the 1970’s concluded this premise. One study found feeding a deficient diet in calcium to a group of ponies whilst providing a free choice calcium supplement, showed no difference in intake between the ponies fed an adequate calcium diet. “Horses aren’t considered to be able to seek out sources that may be lacking in their diet” – Catherine Whitehouse M.S, Kentucky Equine Research Equine Nutritionist. Eating soil or clay, known as geophagia, often can’t be easily explained as some horses seem to be more interested in eating dirt than others. Horses on low sodium diets may often display this behaviour as they seek additional sodium sources. To obtain a balanced diet horses should always be offered a free choice of non – flavoured salt blocks, those with low salt diets may benefit from the addition of 30-60 grams of white salt within their feed per day. Eating and licking soil has been seen in horses suffering from gastric upset, it is advice to consult with your vet if a sudden interest in geophagia is observed. Management or routine changes can also contribute to an increase in geophagia, these behavioural changes are often seen on horses in new surroundings. Lignophagia or wood chewing is a more common problem seen by horse owners. Traditionally thought that horses where seeking fibre from the wood, this behaviour is often a sign of boredom. Providing alternative forage sources to encourage longer chewing time may help to reduce the incidence of wood chewing. It is important to distinguish between cribbing, where by the horse holds an object with its incisors and gulps in air, if a horse chooses a wood surface to crib on it may appear as though to be wood chewing. It has been documented by equine behaviourist that some wood chewing ponies may ingest up to 0.90kg of wood per day. Discouraging wood chewing can be obtained by treating the fencing with a safe substance, placing an electric fence around the area or covering with PVC railing. The ingestion of faeces, known as coprophagy is another form of pica, commonly seen in foals however it can be observed in adult horses. Coprophagy can be observed in foals as young as four or five days old, thought to aid the cultivation of microbial population in the hind gut establishing a healthy digestive tract. It is thought that this behaviour is key for the transition from milk to forage and concentrates. When seen in adult horses it is recommended to provide ad lib forage or other practises to increase chewing time to discourage this behaviour as it is often a sign of boredom. There are potential health risks associated with some of the forms of pica, which may require some management changes. The ingestion of soil, dirt or faeces pose a high risk of internal parasitic infestation. A strategic worming programme should be implemented if these behaviours have been observed in adult horses. It is recommended that foals are wormed and faecal egg counted regularly as they are in higher risk of parasitic burdens due to their natural curiosity and developing immune system. Sand colic is a potential risk when geophagia has been an ongoing problem over a period of time, resulting in a build-up of sand and soil which can block the gastrointestinal tract. Once this behaviour has been identified it is important to implement alternative management practises immediately, such as increased turn out time or extended eating periods. However, wood chewing does not pose a major health threat to the horses, some may demonstrate gastrointestinal irritation and obstructions can occur in rare cases. Some forms of pica may be observed due to a lack of sodium within the diet. Providing a free choice of a non- flavoured salt lick will allow them to maintain required levels. It is also important to consider the horses exercise levels and ensure sufficient electrolyte supplementation is provided if required after intense exercise. Salt licks must be placed in an accessible area, if dirty or contaminated with faeces they will be avoided by most horse so should be checked and cleaned regularly. “Some horses are naturally more investigative than others”, unusual eating behaviours can be related to boredom or sudden management changes. Encouraging longer chewing times with alternative forage sources will help to satisfy grazing needs. Digestive upset can be another cause of these behaviours, increasing eating time will increase saliva production ultimately aiding the gastric acid buffer within the stomach. Providing longer turn out times and social stimulation will all help to reduce boredom. As we all know, a high fibre diet is essential to obtain digestive health. It is recommended that a minimum of 1.5 to 2% of body weight (500kg) of forage is given per day. Alternative management practises are to be adopted to prevent long periods with out food. A balanced diet is vital for optimum health. Ensuring the correct level of energy, vitamins and minerals are supplied within the diet according the status and workload is essential for the success of the equine athlete. A source of fresh water, adequate forage and turn out and non-flavoured salt lick are four key management practices to prevent the development of pica and ultimately gastrointestinal upsets. Kentucky Equine Research.2002. Pica: Peculiar Palate. https://ker.com/equinews/pica-peculiar-palate.